This entry was posted in Fun, Pens and tagged collectibles, Conway Stewart, Parker, pens by penmanila. Bookmark the permalink. Beautiful pens, Butch! How heavy are they? don’t they make your shirt pocket sag? hi, thomas, the best places for affordable pens that you can go to in manila will be the big branches of national bookstore–if you’re in manila, then perhaps a branch in one of the big malls like robinson’s ermita, or the mall of asia. NBS carries parkers, sheaffers, and lamy pens, among others. also, join us online at FPN-P (google the term and sign up) so you can indulge your passion vicariously, even from siargao. welcome to pens! Many thanks. I hope to catch a glimpse of water man if they have. One question…. 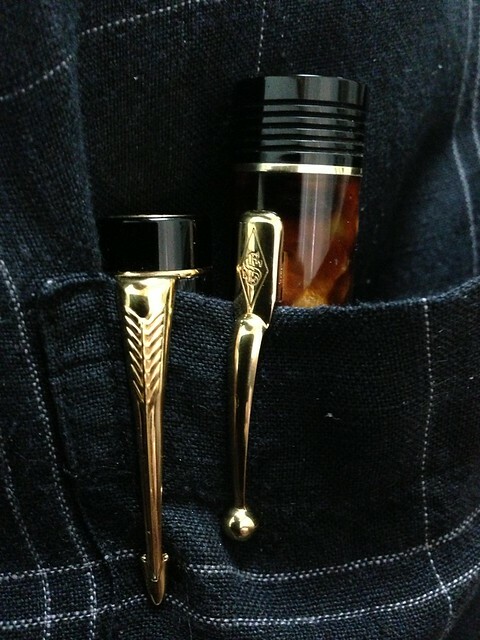 Do any stores in Manila sell vintage parker 51 or others? Luis Store in Escolta still sells vintage Parker 51s but at very prohibitive prices. We get our 51s off eBay–but at your age, that will be off-limits to you. Sometimes our members sell these, which is why it’s a good idea to sign up with FPN-P (which I see you’ve already done).